Bloat is mostly gas, and is better out than in. Let’s talk waffle . . .
And I don’t mean the yummy variety, even though I could talk about those delicious delights all day long, especially with warm maple syrup brimming in their cute little dimples, butter melting, generous dollops of fresh cream suffusing, maybe even a scoop or two of vanilla ice cream, and fresh blueberries, or strawberries, definitely red cherries, possibly sprinkles. 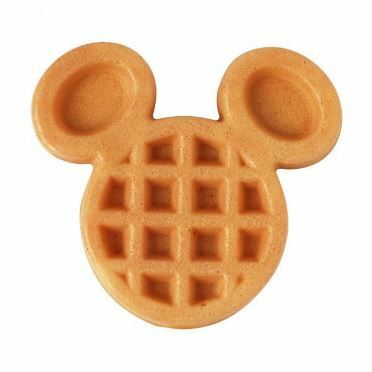 Big waffles, small waffles, square ones, round ones, waffles the shape of Mickey Mouse’s head. Hot, cold, frozen, I don’t care! So long as I get my waffles! Hot dang! You’re doing great; even I nodded off once or twice. More simply, and to maintain focus, I could have said, “I love waffles with any topping.”. Okay, so the second statement isn’t as fancy as the first, and it leaves a lot to the imagination, but it says the same thing without all the extraneous details. Here’s a fact: Too many details are a turn-off for readers. All those nice ‘n’ juicy descriptions are fun at first, but they soon get a little too much to stomach as things drag on. 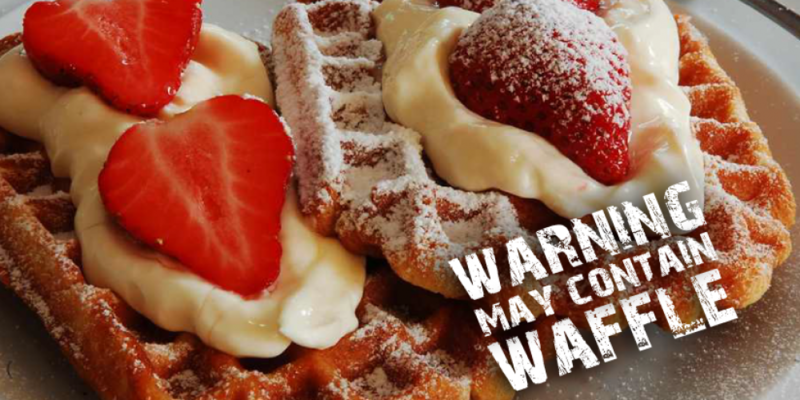 In this case, most people know what waffles are, and those who like them will be familiar with the range of toppings available. It’s not necessary to cover every single possible permutation to let the world know I love waffles! Other equally scrumptious breakfast options are available. My point is, as a writer, the easiest thing in the world is to get carried away in the moment and harp on about something we’re excited to share with our readers, not for one second considering that they might not share our enthusiasm. Padding our descriptions is a fatal mistake, and one we are all guilty of. The trouble is, waffling comes naturally to most of us. But it makes our writing appear amateur. Worse still, bloat has a detrimental affect on pace and may even stop readers in their tracks. If you want to be more professional in your writing, you must learn to ‘un-wafflize’ your work. Some writers believe that writing less is lazy, and that writing more showcases their brilliance at description. They’re wrong. It takes much more skill, time and imagination to convey an idea in just one or two sentences than it does in five or six. In fact, writing less is much harder to master, and can involve a lot of ripped-out hair. Stripping sentences down to their bare essentials will invigorate your writing. Whenever I hear about writers churning out 10,000 words a day and a new novel almost every month or two, my first reaction is to feel humbled by their creative prowess. On a good day, I peak at 1000 words, which may or may not be subject to a rewrite the next day. Why can’t I be more prolific? Am I creatively challenged? It’s easy to feel inferior. However, when I think about it more logically (and maybe read some of their work), I realize that 9000 of those words are what I consider to be waffle. Sure, I can write 10,000 words a day, too! Dazzle my readers with adjectives, adverbs and my expertise with a thesaurus. But most of it will be bloat. Is that what I want my novel to be – 90% fat and only 10% nutrition? Is that what I want to give my reader? Watch out! Incoming waffles at six o’clock! Here’s a simple exercise . . . Which of these two examples is closer to how you might handle this kind of description? The second statement leaves more to the reader’s imagination – which is every writer’s goal – and is only 27 words compared with 166 in the first example. Gone is the superfluous padding. What is left is exactly what needs to be said. It allows your readers to imagine what Jack is thinking. It allows them to picture the toppings from their own memory, and above all else it gives them just enough scenic understanding so that we can all move on. After all, this is the key, and should be your aim always: To steer your readers through your story without them losing interest along the way. Too much detail is an obstacle. Don’t force-feed your reader with every little detail. You’ll only end up making them sick! The mark of professional writers is to trim, trim, trim. It’s on their minds all the time they’re writing: “How can I say this in fewer words?”; “Am I over-painting this picture?”; “What’s the quickest way to get in and out of this scene?”. Professional writers don’t sit at their keyboards, hammering out every thought that comes to mind. Okay, so we’ve all done it. It’s exciting, liberating. It gets the creative juices flowing and builds up our novels in no time at all. It’s also a bad habit to get into, and it’s the mark of an amateur. Being succinct is hard work and it’s in our nature to avoid it at all costs. “I’m a writer. I love words. Let me show you how much.”. A flowery meadow is nicer on the eye than a mowed lawn, right? Wrong. A neatly trimmed lawn takes time, dedication, perseverance, love and attention. Anyone can sow a handful of wildflower seeds and take credit for the blooms. Kill everything. Be merciless. Take no prisoners! Long before I started writing crime thrillers, I wrote several stage plays and even a movie screenplay. I didn’t go at them halfheartedly. Even before I penned the first INT: NEW YORK CITY – APARTMENT – NIGHT I spent six months learning the basics and the rules of how to write scripts. I researched all the techniques, spending long days trying them out. I learned all about scene setting, coloring characters, and even camera direction. I read countless plays, movie scripts, hungry to find out what made them tick, and how my writing would benefit as a result. Long before I started writing screenplays, I wrote several lengthy science fiction novels – sci-fi being my first literary love – but it landed me with lots of bad habits. Science fiction gave my runaway imagination license to be flowery and overly-descriptive. I fell victim to writing 500 words where only 50 were required. You could say, I learned to love waffle, which made the transition to stage writing all the more difficult. If you can’t say it in two sentences, you’re saying too much. The thing about play writing is that the reader (in this case, the audience member) is expected to understand the scene only by virtue of seeing the characters’ expressions and hearing their words. There is no place for description, large or small. Everything must be conveyed by the performance. Applying this to novel writing is the surest way to minimize those extraneous details and make the whole work read leaner. Screenwriting is the best way to fine-tune your dialogue. So, when I started writing crime thrillers, I put this knowledge to good use. Of course, I still use one too many adjectives, and I can’t resist a good adverb every now and then (obviously), but I’m mindful of them now, only letting them onto the page if they are (absolutely) necessary. Ruthlessly, quickly, decisively, erase those adverbs! The best way way to male your writing appear more professional is to remove the fat and trim everything down to the bare bones (without losing creative essence). Be warned, though, it isn’t easy. It takes lots of practice and guts. As writers, we invest a lot of our time, feelings and passion into our work. Our novel is our baby. The thought of stripping away all the flesh just to see the skeleton isn’t something any of us savor. But our work is better without the bloat. And you will be seen as a better writer for cutting waffle out of your diet. Say what you want to say in the fewest words possible. And the secret is . . .
Be ruthless. Hack away everything that is redundant, including pointless conversations that don’t move the plot on. You can’t be too possessive about this. Words are just words. You can always make new ones. Be merciless. Look at every single adverb and ask yourself is it (absolutely) necessary. You can’t be sentimental. Look at how you describe something and see if you can say the same thing in half the words. Be brave. Your writing will benefit from going on a waffle-free diet. It will be leaner and in much better shape. You, too! When you think you’ve trimmed all you can. Go back and trim some more. Don’t aim for a big word count. Aim for quality over quantity every time. If you have a good story, the words will speak for themselves. Above all else, you must become what I call a Serial Word Killer. I can’t stress this enough. If you want to be a better writer, you’ve got to find the strength and the conviction to hunt down every word not pulling its weight and kill it. Dead. Don’t think twice. Just do it. After all, there’s no crime in being concise. Your readers will thank you for sparing them the bloat. No waffles were eaten in the creation of this blog post.